One of the most common challenges that leaders face nowadays is to lead people in a matrix organization along the so-called “dotted” lines. That means that these leaders have to lead people virtually by influencing them without formal authority. In this video, we will introduce you to a model developed specifically for this challenge. 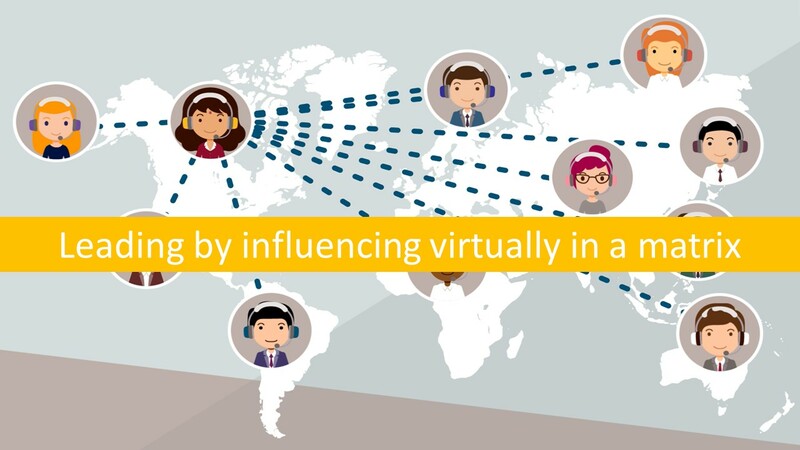 It will help you to target your interventions in the virtual space in the most effective way – so that with a minimum of effort you can significantly increase your influence on a specific person. This will allow you to increase their engagement, commitment and performance so that your targets can be achieved in the virtual space even without any formal authority.